When everything is moving so fast, and you have to take care of a few errands, it can be easy to lose your house keys, car keys or the keys to your business premises. The situation only gets worse when you discover that the lost key was the only one you had. The good thing is that you have emergency locksmiths like Locksmith-4-U to get you out of those situations. The emergency locksmith service provided by our skilled Locksmith-4-U locksmiths is swift and efficient. Not all locks are the same. The lock on your door is different from the lock system for a company, a car or a bank. Locksmith-4-U emergency locksmiths are well trained to operate a variety of high-security lock systems. For your car, our locksmiths have the necessary skills and are well equipped to provide you with excellent service even for the latest model on the roads. Who better to provide you with the right solutions for your emergency than a qualified and certified Locksmith-4-U emergency locksmith? For you this lock may seem like a big problem, but to our staff it is a natural hands-on job.As such, you won’t have to go through the trouble of dealing with expensive mistakes or taking a risk on quality. An emergency situation demands a quick response, and that is what you get when you reach out to Locksmith-4-U’semergency locksmith service. Hiring someone experienced and knowledgeable means that your lock system problems will be resolved in the shortest time possible. If you are in a hurry to get to work, our emergency locksmiths will ensure that you get there just like any other day. If your car lock is the problem, you will be back on the road in no time. Emergencies demand full-time attention, that is, 24 hours 7 days a week. This is extremely important when you are stranded outside, locked out of your car, and you need to get to work quickly. 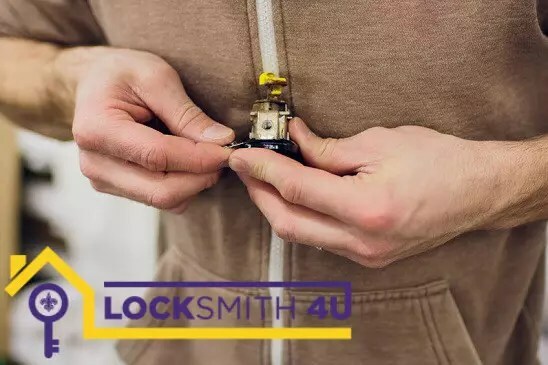 Whatever the time, early in the morning, late in the evening or in the middle of the night, Locksmith-4-U emergency locksmiths are always up to the task and ready to be of help to anyone who needs our services.